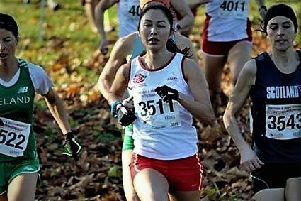 Some 900 runners took part in the second Chiltern Cross-country league around Tear Drop Lakes which incorporated the second round of the British Cross-Country Challenge. MMKAC with a turn-out of 120 runners comfortably won the match by over 500pts and increased their overall lead by 865pts ahead of Chiltern Harriers. Rachel Robinson with another superb second place again led the MMKAC ladies home, but this time to also win the senior ladies team race over Wycombe Phoenix Harriers. Backing up Rachel from their squad of 13 around the undulating course of 5.6km saw Elle Roche eighth, Lara Bromilow 10th, Alice Ritchie 18th, Wendy Webber 21st and Abby Roskilly 24th to complete the scoring six from a field of 154. Jack Meijer ran to a fine fifth position in the Cross-Challenge under 20 men’s race competing against some of the best UK runners in this age group. The senior men competed over 9km with 264 finishers. Dan Woodgate led them home on this occasion placing fifth with Liam Smith eighth and Paul Mizon 10th heading their scoring ten that finished in the first 29 finishers. There was a stronger under17/20 women’s team competing over a 4.8km course that placed second team. 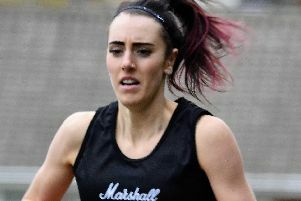 Montana Edghill ran to fifth, followed by Imogen King 10th, Anna Ustaran-Anderegg 21st and Nicole Whittle 30th. April Barnes led the under 15 girls in 8th position. Best placed individual in the junior races was Callum Tripp, second for the under 13 boys who raced 3km. Harry Totton 12th, Sam Oldroyd 16th and Elias Skaarup 23rd completed the team that took third on the day. Maddy Pearce led the under 13 girls in sixth place with Millie Freeland 8th, Morenike Orimalade 23rd and Elizabeth Garner 25th. The under 17 boys won their team race around a course of 5.6km with Finlay Gibbs an excellent fourth, Matthew Dicks (10th), Leo Freeland (13th) and Robert Hickman (15th). Finally the under 15 boys were led home by Jack Rose (seventh) chased by Jamie Darcy (13th), Aidan Murphy (18th) and Zak Freeland (23rd) to finish third in the team race.